The sun is currently in Taurus (April 19th - May 20th). If your sun sign is not Taurus, these stones are still useful. The zodiac energy of each sign surrounds all of us based on the time of the year. The energies of Taurus are at work now. Taurus is the second sign of the zodiac. When the sun enters Taurus is one of the best times of the year. The weather is starting to get warmer, the heaviness and struggles of winter are lifting, it's time to start enjoying the life you are living again. Taurus brings happiness and warmth following the frantic, get-up-and-go energy of Aries. The Taurus energy is calmer and full of gratitude. Taurus is also known to be stubborn energy. a Taurus wants what they want and won’t accept anything else. This energy can become stagnant if you don't allow yourself to be open to new people, ideas, and opportunities. Be aware of this so you don't allow yourself to become to set in your ways and miss out. Taurus energy can prevent you from recognizing new opportunities. Blue Tourmaline keeps increases your intuition so that you keep looking for things beyond your current possessions. When the sun is in Taurus, it is a great time to brings balance to all aspects of your life. Jade harmonizes energies to create stability, abundance, and longevity. Emerald is a wonderful stone for healing and bringing prosperity into your life, especially aided by the calm energy of Taurus. Kyanite is useful during meditation to open the third eye chakra, which is necessary when the sun is in Taurus and this chakra is more likely to become blocked. It also aids in communication and balance. The energy of Taurus wants you to be happy with what you have and not look beyond that because what could be better than the comforts that already surround you? Like Kyanite, Lapis Lazuli can be used to open the third eye chakra which frees your intuition and inner power to guide you. Rhodonite provides support and guides you toward fully loving yourself and others. It is strongly associated with the same energies as Taurus. Like Rhodonite, Rose Quartz is strongly associated with Taurus because of it's gentle loving energy and ability to help you be more compassionate. Rutilated Quartz is a crystal that is often used as an "antennae" to amplify any energy you want. It can be used to amplify the warm and happy energy of Taurus. Selenite is a crystal with a very high vibration. It can help guide your spiritual connection, which may be blocked while the sun is in Taurus. During this time of year you might feel the need to find balance, which usually means you have to "get rid" of something. Amber is cleansing. Taurus is an earthy sign which can be represented in the comforts of home and your possessions. It is all about appreciating what you have. Copper energy is similar. Taurus energy represents the want for the very best of everything. It is embodied in liking nice things. Green Aventurine helps you find a way to get these things in abundance. Malachite balances the left and right brain hemispheres and Taurus is about finding balance. Especially balance in the heart chakra where you find contentment. Onyx eliminates fears of new things or losing what you have. While the sun is in Taurus you may find that you are so afraid of losing what you have that you avoid looking at other opportunities. Pink Calcite is a stone of universal warmth and contentment, both of which are very strongly associated with Taurus and this time of year. 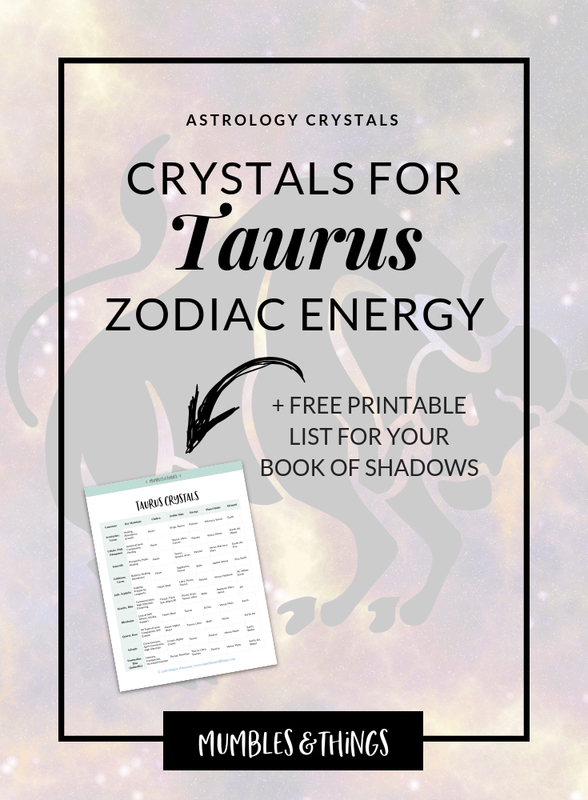 Want my list of Taurus crystals? Click the button below to request your list to be sent to your inbox. 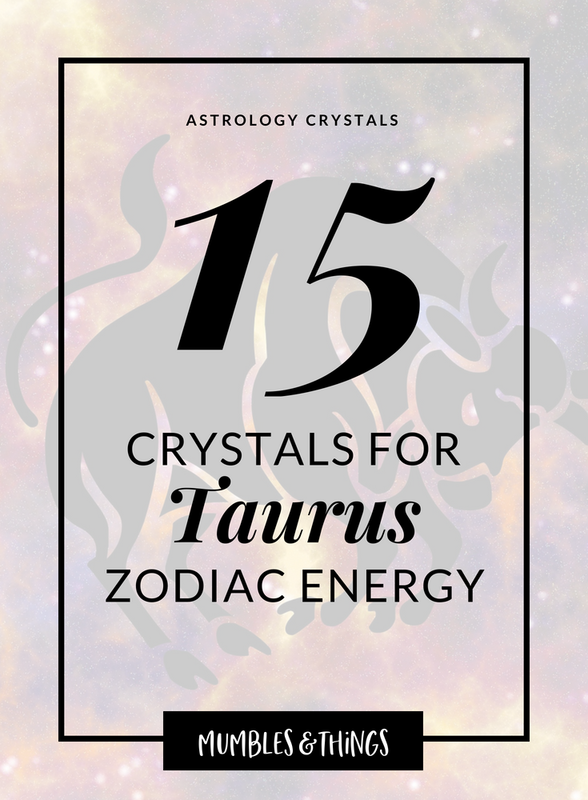 This list includes the top 10 crystals associated with the zodiac sign Taurus, plus, the three key uses, primary chakras, polar energy, planetary ruler and element correspondence.